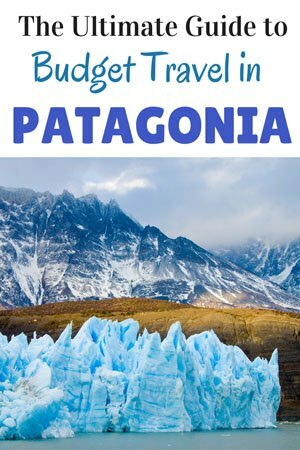 Everything you need to know for backpacking and budget travel in Patagonia in this complete ultimate guide. Where Is Patagonia And Why Should You Go There? The southern stretches of Chile and Argentina constitute what has rapidly become an unmissable part of any backpacking or adventure trip to South America. Unlike a lot of the rest of the continent, Patagonia has a well-established network of hiking trails and a reliable tourist infrastructure that makes it a far easier location to visit for keen trekkers. But the real allure of Patagonia is its superlative uniqueness: a region famed for towering mountain peaks, elusive yet captivating wildlife and scenery that switches between deserted grasslands, groaning glaciers and silent, shimmering lakes. With a month or more to travel it’s possible to explore some of the region’s most mesmerising highlights. Don’t be surprised if, like many South American adventure travellers before you, Patagonia becomes the crowning moment of your whole trip. If you’ve ever researched backpacking through Patagonia, it’s likely you’ve discovered the unfortunate truth: it’s expensive, particularly by South American standards. 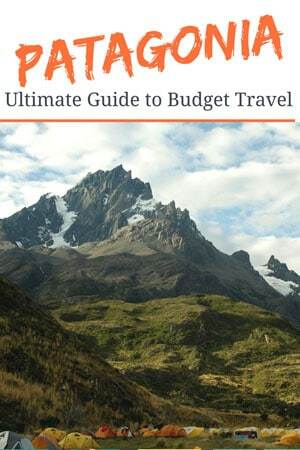 Before we start, it’s important to make it clear that it’s virtually impossible to travel in Patagonia on the same sort of budget as you might in Peru, Bolivia or even northern Argentina. Travel in Patagonia is disproportionately expensive and there is no magic wand to wave to make these prices lower. That said, backpacking in Patagonia on a budget can be achieved with some forward planning. The following budget travel tips prioritise experiencing Patagonia’s sensational places over travelling in particular comfort and expect that your Patagonia trip will cost around $50 USD (or less) per day. Love adventure? Check out our ultimate guide to hiking in Patagonia. The season in which you choose to travel will significantly affect the cost of your trip. The internet is in agreement that the Austral summer, between December and February, is the best time to visit Patagonia. However, this is open to debate. These months are when the warmest, pleasantest weather is most likely, but it’s also the time when everyone else has the same idea. Cue the prices of accommodation and transport soaring and greater competition for space on hiking trails. The little-known secret is that the shoulder seasons, either between September and November or March and May are a far better option for budget travel in Patagonia. With reduced pressure on tourist infrastructure, you’ll not have to book as far in advance and can adapt your trip as you go. Start/end of season discounts on accommodation and tours are also a possibility. Final budget travel in Patagonia tip: During the months of September and May at the extreme start and end of the shoulder seasons, some hostels and tour companies are not open, so researching your options and contacting them before you arrive can save headaches. Another key way of backpacking in Patagonia on a budget is being selective about how you travel. Ironically, the more time you have to dedicate to the region will actually save money, as a tighter schedule means some of the following forms of transport are impossible. Flights: The issue with flights in Patagonia is that you need to book in advance – at least three months in advance in some cases. If you’re arriving into Santiago or Buenos Aires, a short plane journey can be useful to get south into Patagonia, just be aware that internal flights in Argentina are prohibitively expensive. Flying across to Santiago and instead taking an internal flight south into Patagonia can save a considerable amount of funds. Sky Airlines in Chile have flights costing as little as $40 USD ($25.000 CLP) from Puerto Montt to Punta Arenas. Avoid trying to fly across the border in Patagonia as flights can get into hundreds of dollars. Bus: Patagonia has a good infrastructure of buses which most backpackers in Patagonia use. Prices rise during the summer months and you’ll be looking at paying upwards of $45 USD per ten hours of travel. You can book online (although often not for trips too far in advance), but buying in the bus terminal a few days before you plan to travel is always the easiest way of organising transport. Be aware that during peak season, you may have to spend a day or two waiting for a free spot on a bus, so always ensure you’ve got some wiggle room with your timings. Boat: This form of transport is only really available on the Chilean side of Patagonia. Two budget travel options exist: the Navimag ferry from Puerto Montt to Puerto Chacabuco and the Naviera Austral, which disembarks from Quellón on Chiloé Island for Puerto Chacabuco. The Navimag ferry costs $70 USD ($45.000 CLP) for a shared, dormitory style cabin plus three meals and, if the weather’s good, you’ll be treated to splendid views of the Chilean coastline. The cheaper Naviera Austral ($16.000 for a seat and no meals) passes closer to land, where you’ve got the chance of seeing sea lions and a magellanic penguin colony. Both leave several times per week in each direction. Car: Renting a car, or, if you have the money upfront, buying one in Chile is one of the best tips for travelling in Patagonia on a budget. Buying your own vehicle will cost from $4000 USD plus petrol costs (around $1.10 (730 CLP and 17 ARS per liter)). You’ll be able to sell at the end and reclaim the majority of your initial outlay. The biggest problem you’ll face is that without decent Spanish (and actually, even with a good grasp of Spanish), this can be a complicated process. Considering making local friends in Santiago through Couchsurfing who won’t mind acting as your personal translator for parts of the process. Be aware that you will need to get a separate set of insurance for crossing the border into Argentina and having an international driver’s license is a must. For vehicle hire, Chile is by far the cheaper country in which to do so, and a four person rental car can cost from $34 USD ($22,000) per day. You might even be able to negotiate a long-term hire discount – just remember to arrange to return your car to the original pick up point to cut costs. This website is comprehensive and up-to-date overviews of the process. Best websites for renting cars in Patagonia: International companies such as Hertz, Avis, Europcar, and Budget have offices in Chile and are generally cheaper than local outfits. Cycling: You’ll need to plan this in advance (cycling gear is a lot more affordable in your home country), but as crazy as cycling the whole of Patagonia might sound, there’s a growing number of travelers doing just that. With your own bike, you literally have everything you need with you – tent, cooking equipment and the open road. You can stop wherever you want and have the ultimate freedom to do so. The downside is that I can only even begin to imagine how much the Andes must hurt to cycle over them. But no pain, no gain, right? Hitchhiking: Despite its bad reputation, hitchhiking (or auto stop in Argentina and hacer dedo in Chile) is a normal way of travelling in Patagonia along the Carretera Austral (Chile) and Ruta 40 (Argentina), and you’ll be surprised by how locals will go out of their way to help you get to your destination. If you speak a little bit of Spanish and are happy to take the ultimate form of slow travel, (yes, you might be waiting a few days for a ride sometimes), this is the budget transport for you. Bring a tent, cooking equipment and stock up on food when you get the chance, so that if you do end up waiting on the side of a remote Patagonian road, it’ll feel like an awesome, impromptu wild camping experience. Traffic is most frequent during the high season, but even during the shoulder seasons you will find a ride. Look out for lorries and red 4x4s (driven by either local or foreign tourists) as these are most likely to give you a lift. Accommodation in Patagonia can be categorized into the following: cabañas (mainly on the Chilean side), alojamientos, residenciales and pensions, hostels and camping. One of the main issues you’ll face is that a large proportion of these types of accommodation are not on standard hostel booking websites. Instead, a quick google search or looking at your destination on Google Maps and Maps.me will bring up a lot more options to choose from. Cabañas: These are predominately found in Chile and if there’s four or more of you, these can be the best Patagonia budget accommodation option. They include a fully-equipped kitchen and bathroom and cost from $45 USD ($30.000 CLP) per night. Hostels: Prices fluctuate according to the season and get more expensive the further south you are. A night in Bariloche costs $14 USD in high season, whereas in Ushuaia expect to pay at least $24 USD. If travelling during high season, you will need to book in advance. Out of season, you can generally turn up without an issue. Residenciales/pensiones/hospedajes: The equivalent of a B&B, these are excellent options for budget travel in Patagonia. With a private room, kitchen access, breakfast and sometimes Wi-Fi included, they are very affordable and will give you a chance to practice your Spanish with the locals. Expect to pay from $18 USD upwards. Camping: Official campgrounds in towns and national parks are the cheapest way of travelling in Patagonia – and possible the most fun. Prices can start from around $5 USD, and include flushing toilets, hot showers and sometimes even a shared cooking area. You’ll also discover a plethora of wild camping spots for nights beneath sparkling skies, far, far from civilization. Just make sure you leave everything as you found it. Patagonia is notorious for its strong winds, so a good tent is essential and a four season sleeping bag and comfy sleeping mat will be appreciated. As all food has to be imported into Patagonia, high prices and a lack of variety will be the main budget issues that you face. In small towns you’ll be lucky if you can get your hands on fresh fruit and vegetables, particularly as the traditional South American mercado is not common here. Menu del día lunchtime offers can cost between $8-$10 for two or three courses and a drink, and you won’t go far without finding empanadas (a pastry shell filled with meat or cheese and ham), which are great for a snack or a light lunch. Luckily, most types of accommodation have cooking facilities, so while your diet may not be the most diverse, you should still be able to cook up a decent meal on the road. Wine and local craft beer is also super cheap, so if all else fails, opt for a liquid lunch! One of the main draws of the region is its splendid scenery, so budget travel in Patagonia is realistic if you’re a fan of hiking. Although routes, for the most part, in the more visited national parks and reserves are well-marked, a little bit of Spanish goes a long way in areas that see fewer tourists but where landscapes and paths are more untouched as a result. The ‘W’ and the ‘O’ treks are regarded as the jewel in Patagonia’s crown – and it’s immediately obviously why. 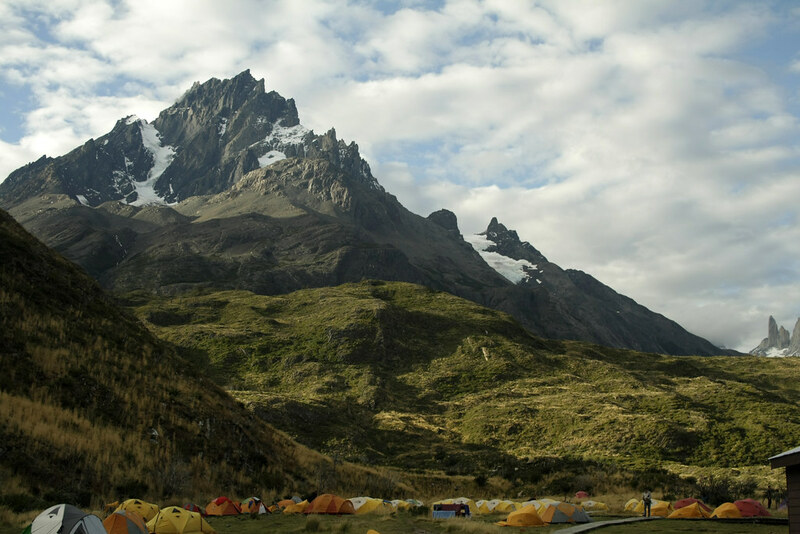 This landscape of epic glaciers, scraggly peaks and wind-ravaged pampas which is only accessible by foot is the ultimate hiking trip for your bucket list. If you want to do Torres del Paine on a budget, the simple thing is to avoid taking an unnecessary – and horribly expensive – tour. All routes are well-marked, there are plenty of other walkers in case you somehow question your way and there are excellent campsites en route. Put simply, there is no need to pay someone to guide you around. The campgrounds range from free to $6 and upwards, and on some of them, $21 will get you the hire of a tent, sleeping bag and sleeping mat. It makes sense to bring your own gear or rent it from nearby Puerto Natales though; some of the free campsites which don’t rent gear are actually far nicer. Stocking up on food for the duration of your hike in Torres del Paine from the supermarkets in Puerto Natales is the cheapest option, just make sure you bring cooking facilities as these are not available at all campgrounds. Entry into the park is $27 USD (18.000 CLP) for foreigners. Whichever form of transport you’ve chosen, make sure the Carretera Austral features on your trip. Starting in Puerto Montt and ending in Villa O’Higgins in the south, the Carretera Austral or Ruta 7 is 1240km of semi-paved road lined by national parks brimming with virgin Valdivian forest, Andean peaks, steaming volcanoes and an abundance of breath-taking glacial lakes. What makes Ruta 7 unmissable is it’s one of the cheapest budget activities to do in Patagonia, whether you road trip, hitch a ride or even shuttle between the towns using the local buses. Bring camping equipment and stock up on food in the supermarkets of Puerto Montt and Coyhaique to maximize the opportunities for wild camping that present themselves along the route. For more information about the highlights discussed below, check out this article about travelling along the Carretera Austral. About 200km south of Puerto Montt, Pumalín Park was the initial Chilean conservation Project of the Tompkins Conservation group – the organization set up by co-founder of North Face, Doug Tompkins. A range of established trails lead up to the craters of recently active volcanoes and to the foot of glaciers, while the park is home to temperature Valdivian rainforest and some of the last remaining areas of Alerce – one of the oldest species of tree on earth. For those who have the luck of visiting, many come away claiming it’s one of the most beautiful reserves in Chilean Patagonia; quite an assertion in a region that is covered in areas of outstanding natural beauty! Roughly 20km south of Puyuhuapi – a town approximately half way along the Carretera Austral – you’ll find the turn off for Parque Queulat; the national park home to the spectacular Ventisquero Colgante or Hanging Glacier. A one-hour trail from the main entrance of the park leads up to a viewpoint of the glacier from where you can watch chunks of ice calving from the glacier and the meltwater waterfall that plunges into the lake below. Small boats can get closer to the glacier by sailing through the milky-blue waters of this lake. There are also a handful of other short trails in the park. Entry costs $8 and camping prices are $8 per night with basic facilities. 50km south of Puyuhuapi is another captivating spot: El Bosque Encantado or the Enchanted Forest. A short hike brings you out at Los Gnomos Lagoon, which is fed by the crashing waters of the glacier draped over the mountain above. It’s a peaceful place to while away a few hours and the hike through the moss and ferns of this ancient forest will leave you convinced that fairies must exist. Park entry costs $6 and the forest is best reached by your own vehicle or hitchhiking. 330 km south of Coyhaique, the jagged basalt peaks of Cerro Castillo have captivated all backpackers who find their way to this remote national reserve. The main circuit up to the shimmering waters of Laguna Cerro Castillo is a moderate, 62km hike surrounded by forests of native lenga and with basic campgrounds for each night of the trek. It is recommended that you start the hike at the trailhead at Laguna Chiguay campground, where the CONAF ranger offer can give information regarding the conditions of the route. Be aware that poor weather, particularly during shoulder season (September and March/April), can make the trek inadvisable. Taking a bus from Coyhaique to Villa Cerro Castillo and hitchhiking to the trail head is the only way of getting here. 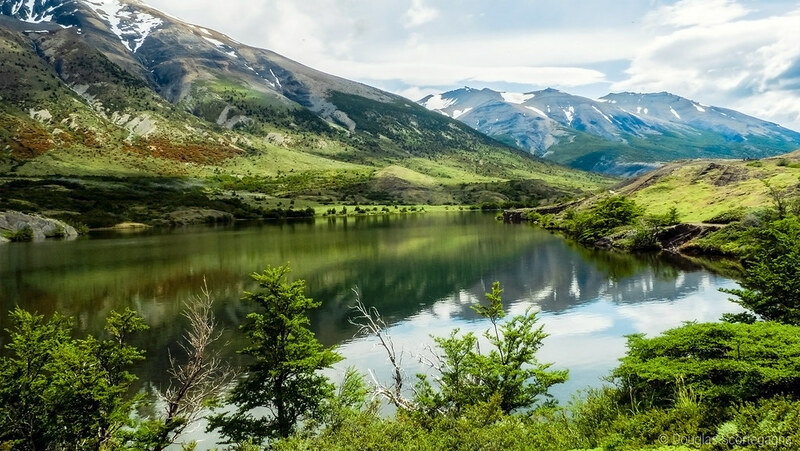 100km south of Puerto Tranquilo you’ll find Patagonia Park; a private reserve also founded by the Tompkins Conservation family. Currently under-construction, the park at present has six main trails, including the Aviles Valley trail (50km one-way) which connects to trails in the Jeinimeni Mountains and takes approximately three to four days to arrive at the Jeinimeni Reserve Ranger Station, around 70km from Chile Chico. Two campgrounds are available, both of which cost $15 USD per person per night with toilets. The West Winds Campground is more accessible if you do not have your own transport. From Puerto Tranquil on Lago General Carrera, hitchhike and jump out at the El Cruce Entrada Baker crossroads or take an early-morning bus from Coyhaique to arrive at the park. The Ruta de los Siete Lagos is a picturesque drive that weaves between stunning, alpine lakes and snow-capped Andean mountains. Visitors traditionally stop at the seven most impressive lakes, where free and serviced campgrounds ($8 per night) allow you to pitch up on their shores. Visit with your own vehicle to take advantage of the lakeside camping as buses drive this route without stopping. Nahuel Huapi National Park has some spectacular day and multi-day trails and is easily accessible by bus or hitchhiking from nearby Bariloche. One of the most popular is from the base of Cerro Catedral to the lake at Refugio Frey (24km, 8-hour trek), while the five-day, 50 km Pampa Linda to Colonia Suiza has spectacular views as it winds through a landscape strewn with glaciers and soaring mountains. Campgrounds (often free) and refugios (bring a sleeping bag and food – these start at $8 USD) are available along all trails. For excellent information about routes and facilities in the park, check out this website. Argentina’s self-proclaimed hiking capital ranks as Patagonia’s second most popular trekking destination thanks to its selection of one and multi-day hikes. 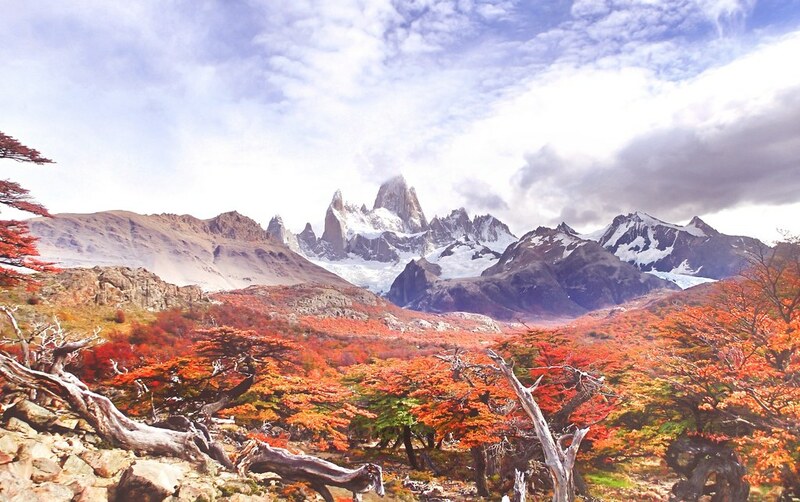 Entry into the park is free, and the three-day, two-night Monte Fizt Roy/Cerro Torre loop has free campsites en route. Staying in El Chaltén is not the cheapest (a bed in a dorm room will set you back at least $18 USD and will need to be booked in advance during the high season), but the access to day hikes, such as spectacular Laguna de Los Tres (12.5km) and Laguna Torres (11km), completely make up for it. All hikes start from the town, so your only additional costs will be if you treat yourself to delicious roasted lamb and Malbec or other Patagonian delicacies in the excellent restaurants that you’ll find along the main road. The Andean forests that surround hippy hangout El Bolsón are perhaps Argentina’s best kept secret. Here, a series of gentle and more challenging treks connect a circuit of thirteen refugios – all of which are at least four hours from the nearest road. Offering one of the best sensations of trekking in Patagonia – that feeling of being lost in the wilderness, far from civilization – the paths also bring you to the ice of the Hielo Azul Glacier and to viewpoints for admiring neighboring Chile’s Osorno volcano which rises from across the border. Check out these suggested routes for multi-day hikes through the area. These refugios are basic but offer some creature comforts – well, a mattress and a hot meal – and cost from $20 a night. Don’t over pack. Getting a hitch is significantly easier if you’ve not got a huge amount of stuff. You’ll also be thankful when you don’t have to worry about where you leave the belongings that you don’t need when hiking. Learn some Spanish and get chatting. I was offered accommodation by locals on more than one occasion as well as being gifted food and drink by kindly Chileans who picked me up when I was hitchhiking. Patagonians are so friendly and often pretty curious to hear about your story. If you’re cycling, make sure you stop to ask friendly locals for water at around 2pm each day. A cyclist I met had done this and been invited in for lunch nearly daily. Never underestimate the kindness of the Patagonian people! Consider investigating a few weeks of volunteering using the opportunities advertised on Workaway or Helpx. Numerous farms and sustainable projects are seeking labor in Patagonia and this is an excellent way of living in the wilderness while getting a free roof over your head and a couple of meals a day. Steph Dyson is a travel writer and educational volunteer who writes about adventurous travel and meaningful volunteering as she believes them to be life-changing but accessible ways of exploring the world. Currently based in Santiago, Chile, she’s spent almost two years travelling, volunteering, and living in several South American countries and is still not ready to go home yet. A cheese addict and Bolivian television personality (well, almost), she’s a lover of the great outdoors and never says no to an adventure. You can check out her tips for travelling and volunteering in South America on her website, Worldly Adventurer.